Sector 331 on a map. Sector 331 is a region on the surface of the planet Earth. 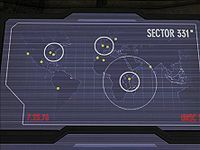 During the Battle of Earth, at least one engagement between UNSC and Covenant was fought there.